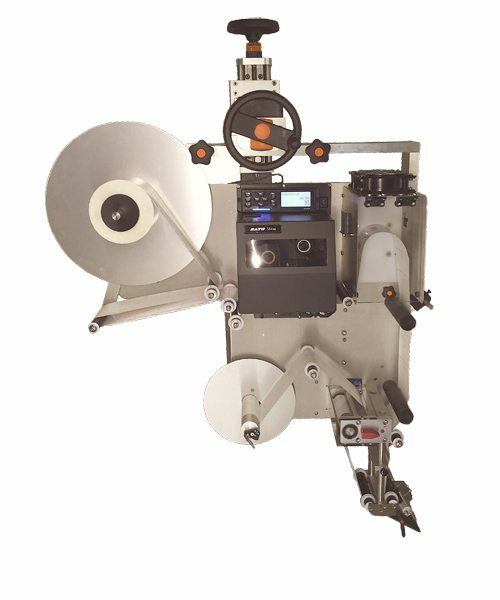 The concept of Loose Loop printing separates the tasks of Printing and then Applying commonly found in traditional Printer Applicators; with a Loose Loop configured printer, the label applications are no longer “One to One.” Printing is done in a continuous manner based on demand from the label applicator. As the loop in the vacuum box diminishes, the printer prints more labels to fill the box. The applicator continuously runs like a traditional Merge Style labeling head while the printer continuously supplies the web path with printed labels. The integrated design of the Q60 Loose Loop allows OEM style printers to print at a slow comfortable speed to maintain excellent print quality while the labels are applied at high cycle rates. With the compact, single side-plate, design, the loop of printed labels is kept to a minimum unlike remote printers with web turn bars.